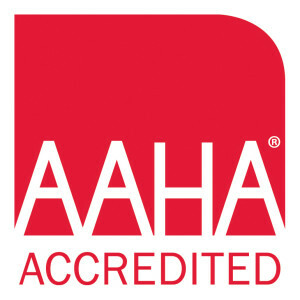 Smith Veterinary Hospital was featured in the October 2012 edition of AAHA Trends magazine as part of an article called "It's Not Easy Being Green: Building a green practice takes commitment, but it brings benefits." See our article segment here, or click the magazine cover to access the full article. Only months after the Trends article went to press, we became a completely paperless practice. Each patient visit typically generates no more than a single sheet of paper. All patient records are created and maintained digitally, including all radiographs and lab work. We employ an e-fax system to ensure that no additional paper waste is generated as a result of records sent to us by other practices or companies. 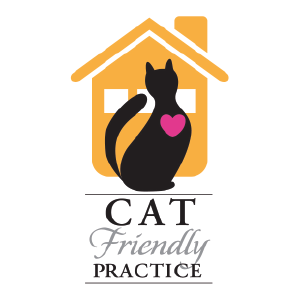 We strongly encourage the use of e-mailed rather than printed after-care/discharge information for our patients; in fact, it's one of the first things we ask clients when they check their pets in for procedures. In December 2013, we installed equipment that enables us to generate our own oxygen on-site, improving our patient care and avoiding the transportation costs and waste associated with sourcing our oxygen elsewhere. We undertook a large expansion and renovation project in 2009, which included installation of a 26 kW solar array on our hospital, significantly off-setting the power we draw from the local electrical grid. In summer 2017, we took advantage of the PNM QuickSaver program to convert virtually all of our halogen and fluorescent lights to LEDs. This project is projected to lower our electricity consumption by nearly 33,000 kWh per year! For comparison, an average US resident used just under 11,000 kWh per year in 2015. The lights are brighter, they generate less heat (helping our air conditioning out), and we won't have to replace these LED lights for around ten years! Exciting news! We're having all of our fluorescent light fixtures replaced with LEDs! No need for new light bulbs for years and years... reduced energy consumption... the benefits are endless!